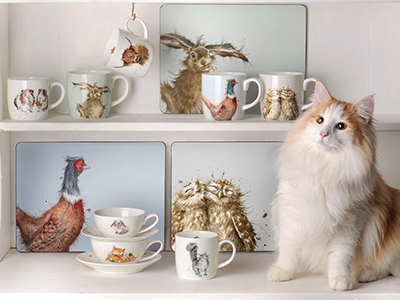 Pimpernel is the premier brand for placemats, coasters, trays and tabletop accessories. Our quality melamine trays are strong, robust and durable, and, being dishwasher safe, are also brilliantly practical. Not only hardwearing, they are also beautiful and feature a variety of decorative designs, perfectly complementing our comprehensive collection of placemats and coasters. This scatter tray has integrated handles is a wonderful size for serving sandwiches with afternoon tea. 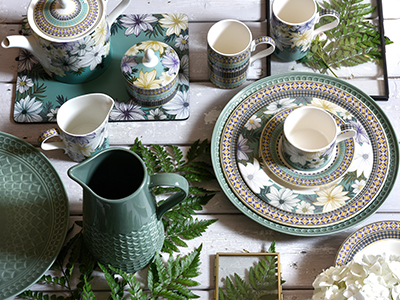 Botanic Garden is an iconic Portmeirion design and this Pimpernel collection coordinates beautifully with the tableware. Portmeirion Group UK Ltd. This product is designed in our studios in Stoke on Trent, England. https://www.pimpernelinternational.co.uk/pimpernel-botanic-garden-sandwich-tray-clematis 14648 Pimpernel Botanic Garden Sandwich Tray - Clematis https://www.pimpernelinternational.co.uk/media/catalog/product/B/G/BGHBSR003.jpg 12.5 12.5 GBP InStock /Collections /Collections/Trays This product is designed in our studios in Stoke on Trent, England. 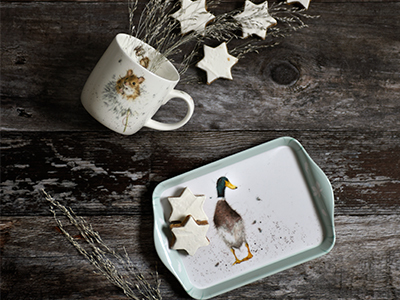 Pimpernel is the premier brand for placemats, coasters, trays and tabletop accessories. Our quality melamine trays are strong, robust and durable, and, being dishwasher safe, are also brilliantly practical. Not only hardwearing, they are also beautiful and feature a variety of decorative designs, perfectly complementing our comprehensive collection of placemats and coasters. This scatter tray has integrated handles is a wonderful size for serving sandwiches with afternoon tea.